If you're a fan looking for how to watch Ohio State Football live stream, check out this guide to the learn how to watch the Buckeyes online! No contract, loads of on-demand content, and the sports channels you need for a fair price. Nationwide service, tons of channels, and straightforward pricing. The reliability of satellite and NFL SUNDAY TICKET, but complicated pricing. It’s time to roll out your scarlet and gray body paint and Buckeye necklaces because the 2018 football season is upon us. After years of J.T. Barrett leading the team’s offense, it’s a whole new ball game with a new quarterback, and we’re sure you’re excited to see it roll out this season. So whether you can make it back to Ohio Stadium or not, mark your calendars because we’ve found the best ways to cheer on the Buckeyes from home. With the September 1 opener against Oregon State scheduled to appear on ABC and future games slotted for FOX and BTN, you’ll need quite a few channels to make sure you’re covered for each Buckeye touchdown. We’ve binged, analyzed, and scrutinized to find the three best services that will have you covered to watch the big games this fall. 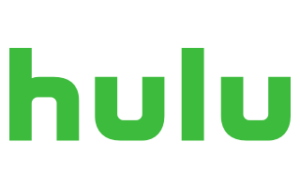 Hulu with Live TV stands as one of the best streaming services in the business, offering the channels you want—especially the ABC, BTN, and FOX you need to see Ohio State—and plenty of binge-worthy online content for only 39.99 per month. Try it for free. The price of Hulu Live simply shouldn’t be ignored. For $39.99 per month, you get access to the game (thanks to more ABC and FOX local affiliates than other streaming services) with no obligations or contract. You can simply cancel at any time with no cancellation fee. If you’re a college-football-is-life kind of TV watcher, then the ability to buy just for the months of football season is perfect for you. Hulu Live also has some of the best streaming quality on the market. But be aware that, as a streaming service, its clear picture does depend on the internet, so your view of the game relies on the strength of your home connection. We suggest checking the strength of your connection before purchasing. Hulu Live doesn’t include any NFL packaging, which is a bummer. So if you’re set on Hulu Live but want to see your professional team score too, you’ll have to look elsewhere. (Don’t worry—we’ve got your back. Check out the best alternate ways to watch NFL teams). The pluses do seem to outweigh this risk as you get tons of Hulu’s on-demand content, which includes Hulu originals like The Handmaid’s Tale and old classics like Seinfeld. DISH offers a reliable way to watch the game through satellite instead of depending on an internet connection like Hulu Live does. With the satellite, you have less chance of lost coverage or buffering during key moments of the game. Check out your package options. DISH’S America’s Top 120 Plus package offers access to over 190 channels, making it the most bang for your buck. In fact, along with top channels like TBS and TNT, the regional sports package is included in your monthly price. This inclusion adds to what, in our opinion, nudges DISH ahead of DIRECTV—clear prices. While you still have the traditional two-year contract, you lock in your monthly price for those two years—no blood pressure–spiking price hikes here. One extra that we think might be worth the additional price ($5 per month) is the awesome DVR Hopper 3. While you do get access to a DVR for free with DISH, the Hopper 3 is one of the best DVRs out there because of its ability to keep 500 hours of HD content and have 16 simultaneous recordings. You might ask, “When will I ever need 16 shows recorded at the same time?” Ask us again during rivalry week.  As another satellite option, DIRECTV CHOICE™ offers a comparable product to DISH as well as tacking on NFL SUNDAY TICKET, but the cost ends up higher with complicated hidden fees and add-ons. Find a plan to see if it’s the right fit for you. DIRECTV’s biggest claim to fame is as the only service that offers NFL SUNDAY TICKET nationwide. NFL SUNDAY TICKET allows you to keep up with your professional team if they aren’t on your local channels—all without having to break the bank on flights and hotels to see them. But be warned: NFL SUNDAY TICKET is included only for the first year. So if you get used to this all-access pass to the NFL, you’ll be forking over about $293 per season to keep the benefit in year two. For $45 per month, you get access to plenty of channels and DIRECTV’s basic DVR service. Each game comes in clearly and reliably. However, you do have to pay a mandatory fee for regional sports coverage. Even though it’s only $5-8 per month, these little fees start to add up. And speaking of “little” fees, we ought to mention that once you pass the year mark in your contract, DIRECTV raises the monthly bill all the way to $105 per month. For the most devoted NFL and Ohio State fans, it’s likely still worth it, but go over the numbers before you buy to make sure it still fits within your budget. It won’t be long before Buckeye Nation returns to the Horseshoe with eyes set on the College Football Playoff. Don’t miss a single moment. Go Buckeyes! If you have any questions or comments about watching Ohio State Football 2018, leave us a comment below.